I may be in denial, but….it’s inevitable. We are face to face with back to school season again. Where did the Summer go, guys?! 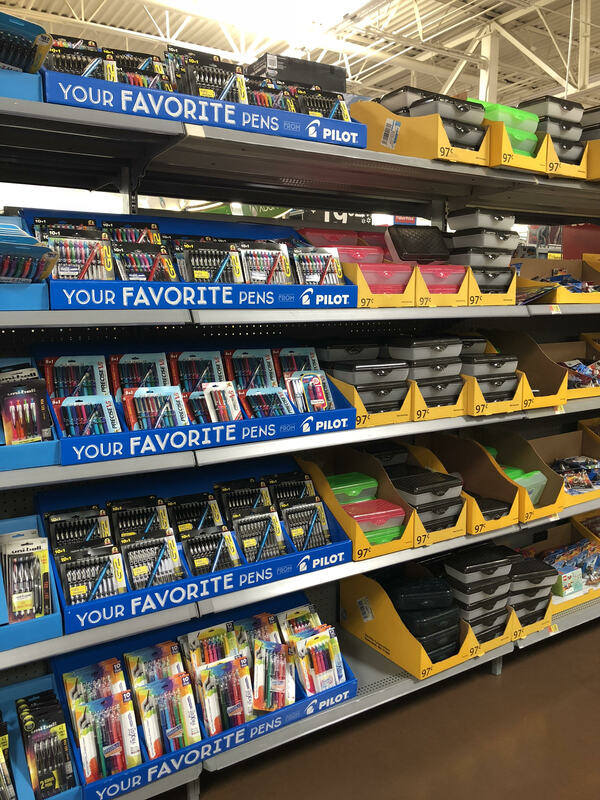 But, regardless of how old I get, I still LOVE shopping for school supplies. I don’t even go to school anymore, but I’m a sucker for cute colored pens! Anyone else? I’m constantly making myself notes and lists to keep on my desk, and wanted a fun way to display them. 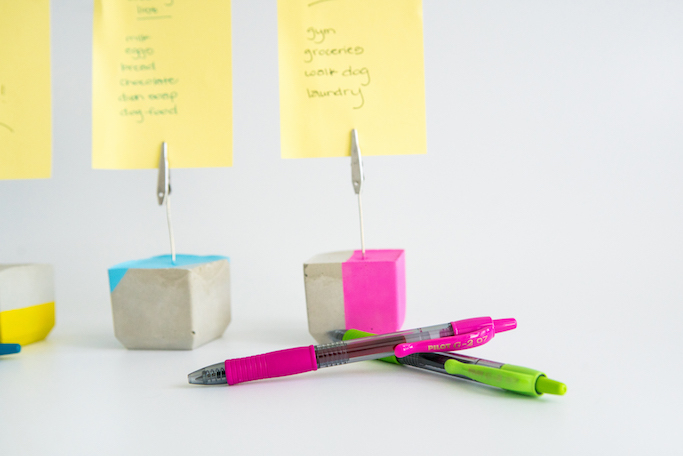 So, the idea for these DIY concrete note holders was born! They are modern, easy to make, and fun to customize using brightly colored paint! 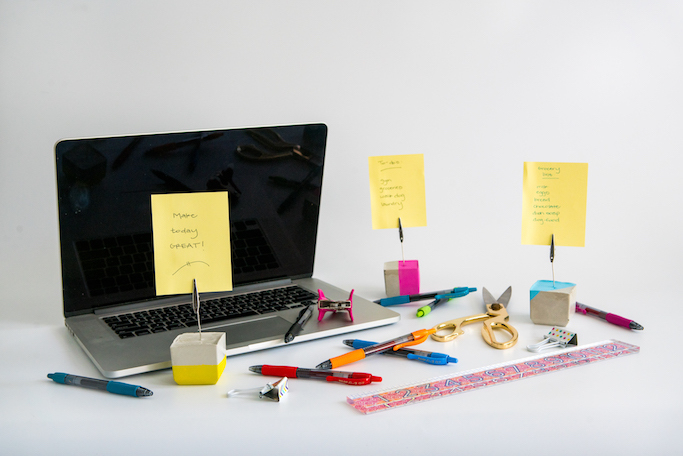 Because you can customize the colors, they are also easy to incorporate into existing office decor too! 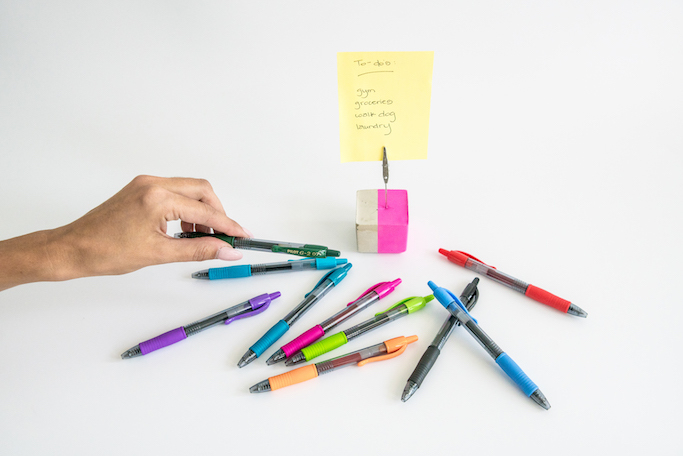 If you want to pick up your own pack, don’t forget to use the Pilot Pen coupon for .75 off any G2® 4-pack or larger! I love the G2® Pilot Pen packs because they are soooo smooth. 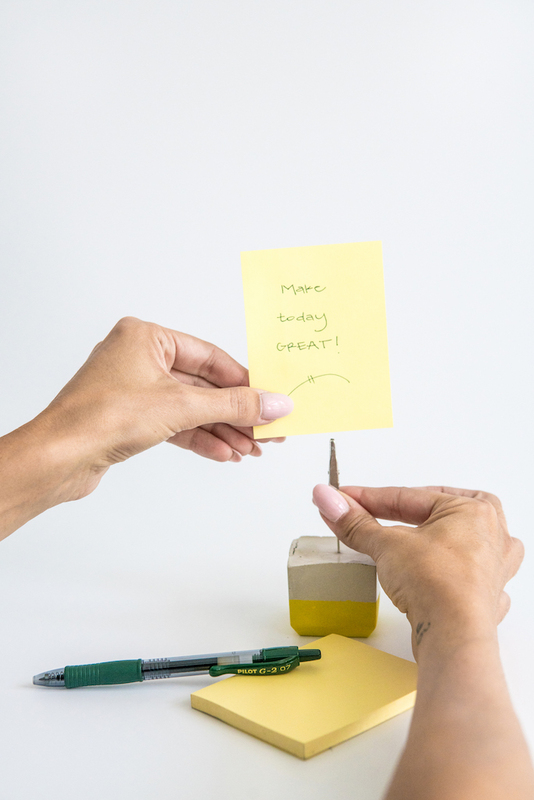 The writing gel ink has been proven to last longer than other gel ink brands, it’s more comfortable to use, and did I mention how smooth they are?! 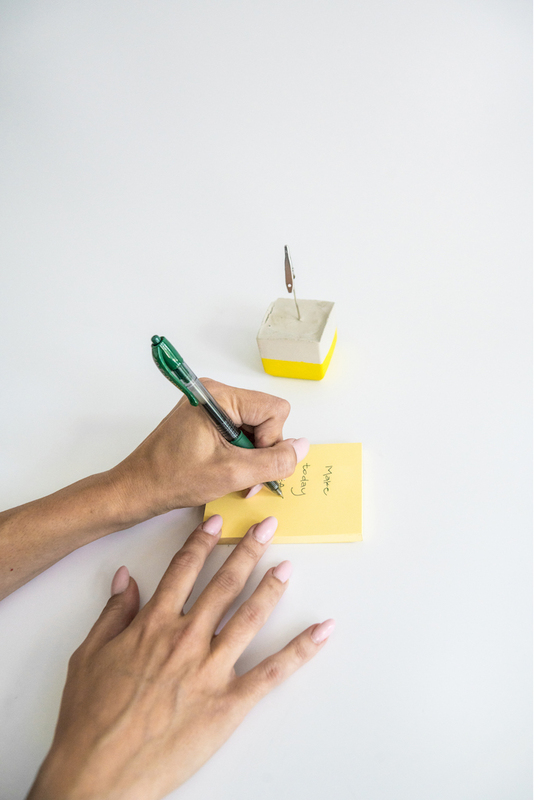 It’s no wonder that the G2® is the #1 selling pen in America (NPD, 2017). 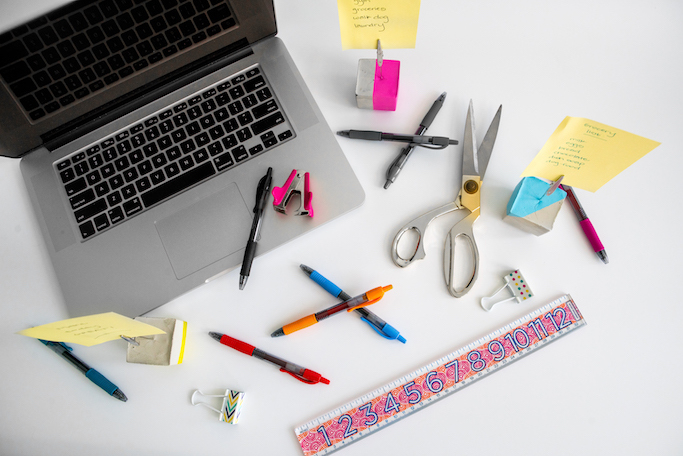 It really is the ultimate pen for the everyday overachiever…aka, me! Ha. 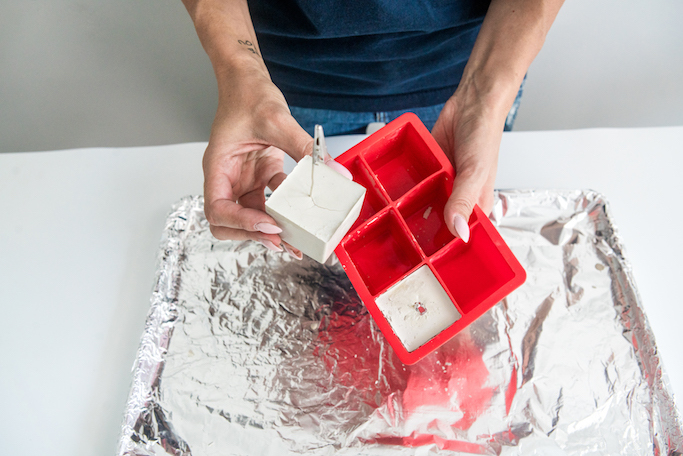 Using the silicone ice cube tray as a guide, measure out the wire, and clip it using the wire cutters. 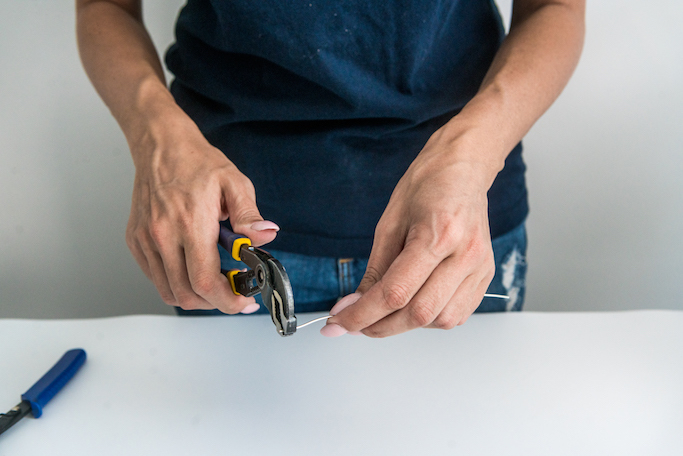 Using pliers, bend the end of the wire to create a “foot”. This will help prevent the wire from pulling out of the concrete in the future. 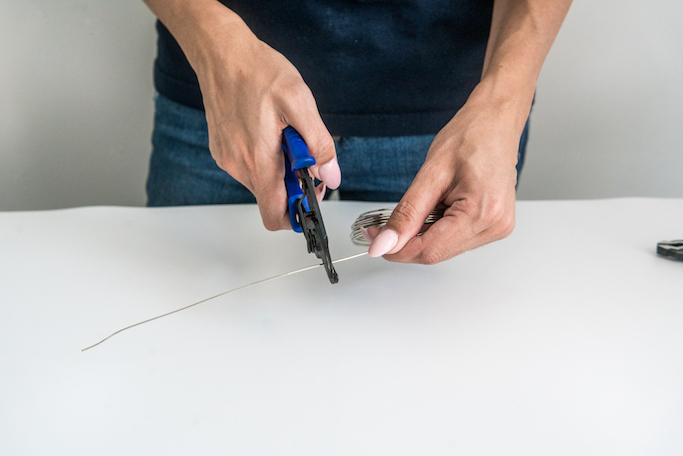 Using the super glue, attach the alligator clip to the top of the wire. 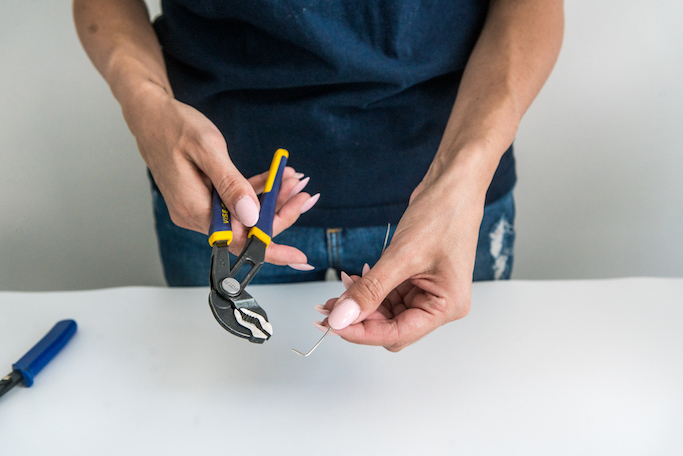 Allow the alligator clipped wires to dry completely before moving on to the next step. 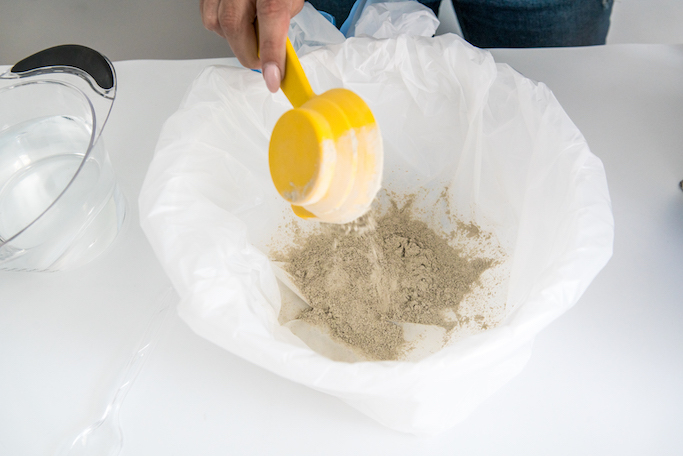 According to the package directions on your quick-setting cement mix, mix the correct amount of cement mix and water. (My package was 4 parts cement mix to 1 part water). 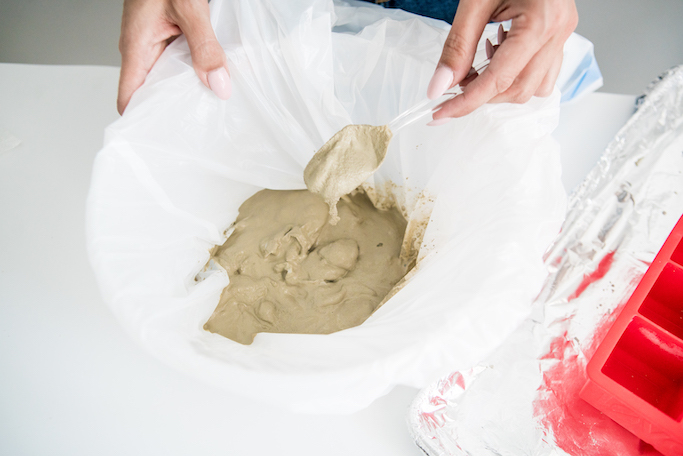 Mix using the disposable plastic spoon, until the mixture resembles a peanut butter consistency. 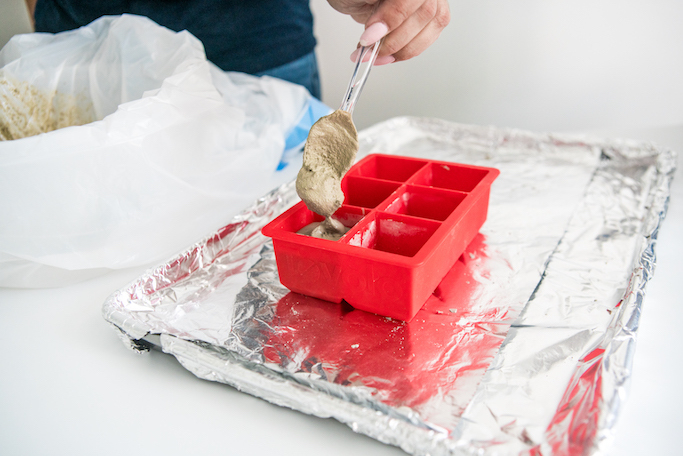 Begin filling the silicone ice cube mold with the cement mixture, leaving a little bit of space at the top. 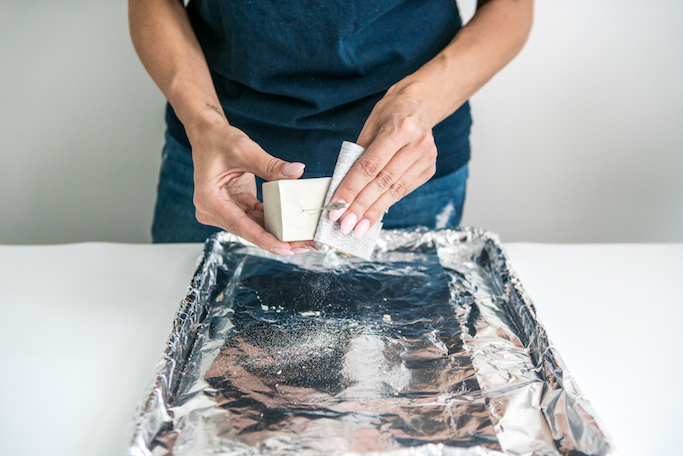 Once full, gently bang the mold onto the counter or a hard surface to help remove the bubbles in each silicone mold cavity. Allow the mixture to harden for a few minutes, and then add the alligator clip wires to the center of each mold. 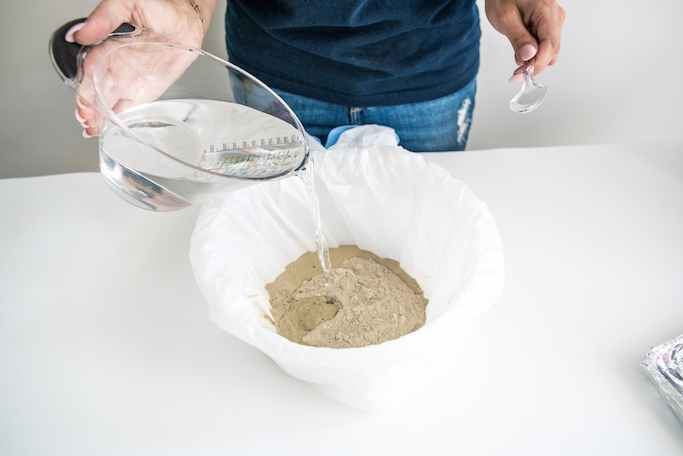 Allow the concrete to harden completely according to the package directions of your mix. (I allowed mine to dry overnight to be safe, but most can be removed after about 4 hours). 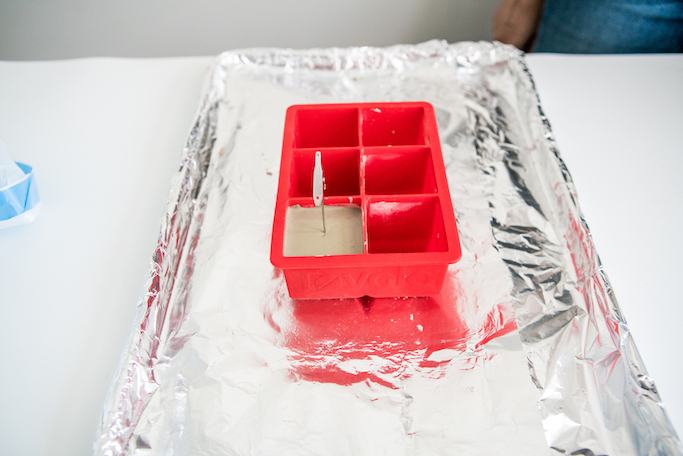 Once dry, remove the concrete note holders from the silicone molds. 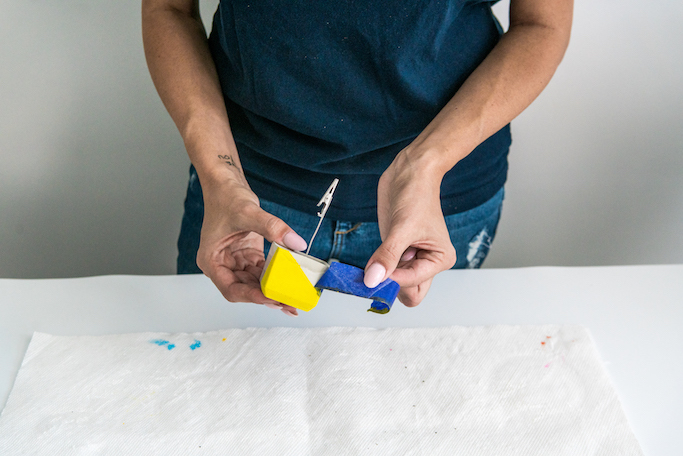 Using the sand paper, smooth out the edges of each cube. 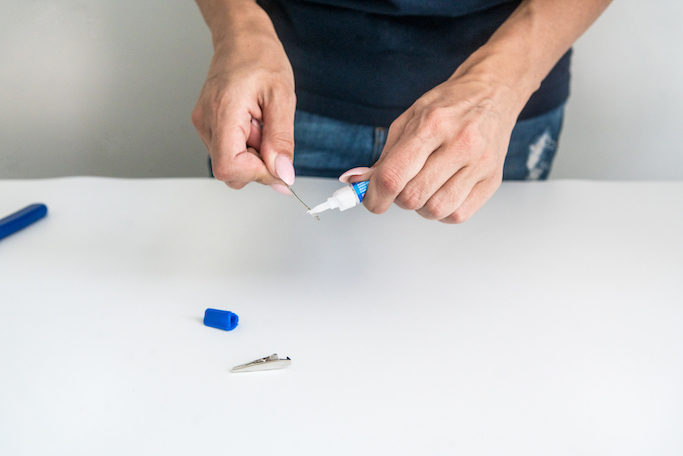 Remove any excess dust from each cube before moving onto the next step. 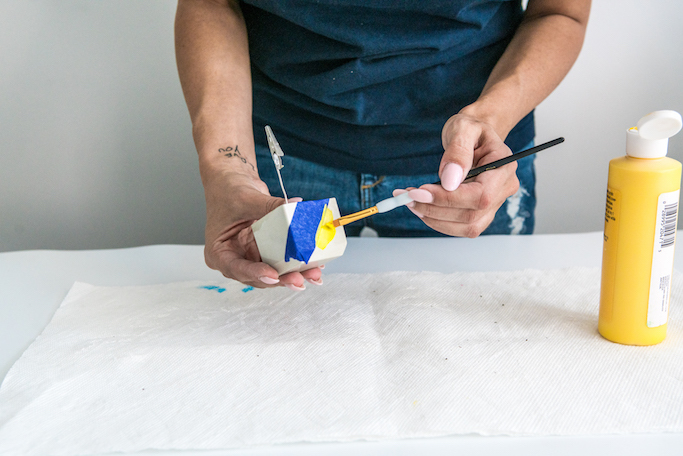 Using the painters tape, section off the area of the cube that you want to paint. You can paint stripes, abstract shapes, or the whole cube if you want to! 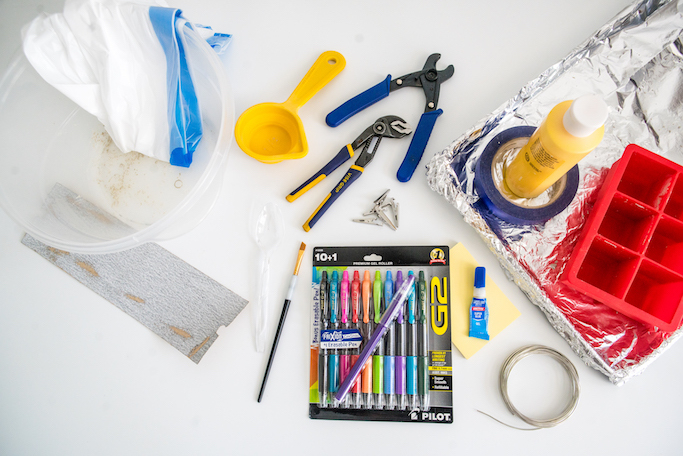 Paint the taped off areas using the acrylic paint. 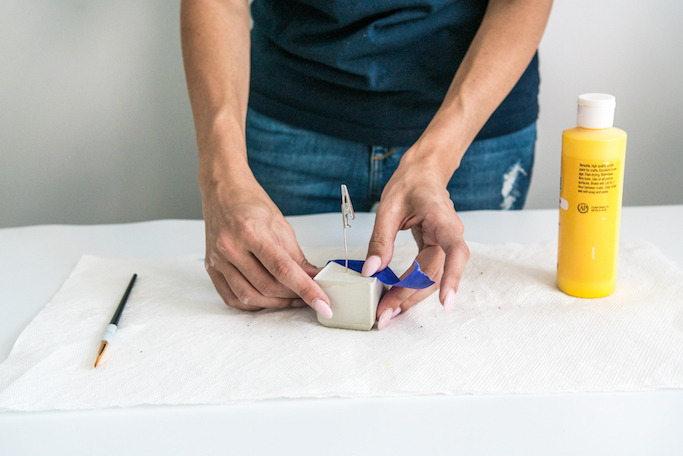 Once painted, remove the painters tape gently and allow the cubes to dry completely before using. 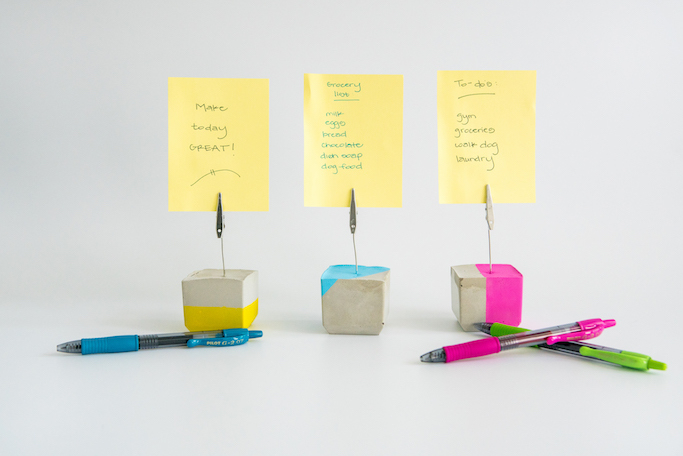 Write out any notes, lists, or inspirational messages, and add them to your DIY concrete note holders, using the alligator clips to attach them. 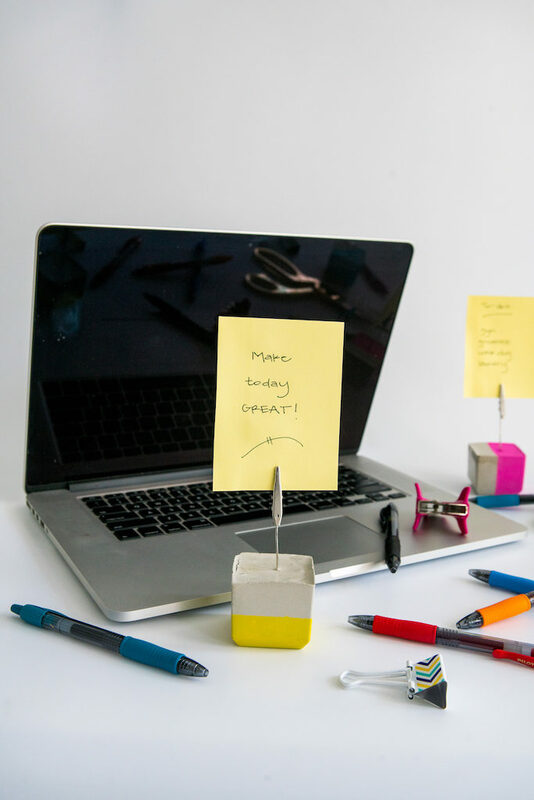 They are such a fun way to display any reminders that you need and I’ll all about a fun DIY project too. And how great would a set of these DIY concrete note holders be with a cute notepad and a set of the G2® Pens by Pilot Pen for someone going back to school, starting college, or even starting a new job or a home office renovation? They would also be a great way to display photos or place cards too! What are you guys going to use yours for? Brilliant idea about the DIY project. I like it. Thank you for sharing.